Students trap ganja peddler, hand him over to police. August 26, 2015: College students here caught hold of drug peddler red-handed and handed him over to the police in Puttur on Tuesday. 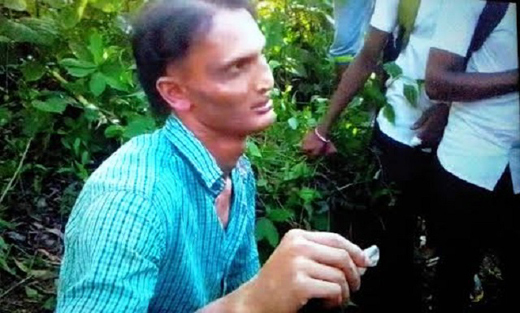 According to the sources, the Ganja Peddler identified as Husainar from Bannur was trying to sell ganja near Nehrunagar in Puttur. The police seized 30 gram ganja sachets from him. It is learnt that the accused had help his friend Ashraf who had raped a minor girl two years back to escape. Well Done students. Done great Job. The people involved in such illegal business all over the country have to be arrested. It is one which destroys the life of the youth.They get edicted to it an end up their life. A good initiative by the students. Will the police release them on bail or seize the whole racket? The students have done a wonderful job by catching the culprit, red-handed and handing him over to the police.